This is another strange one. 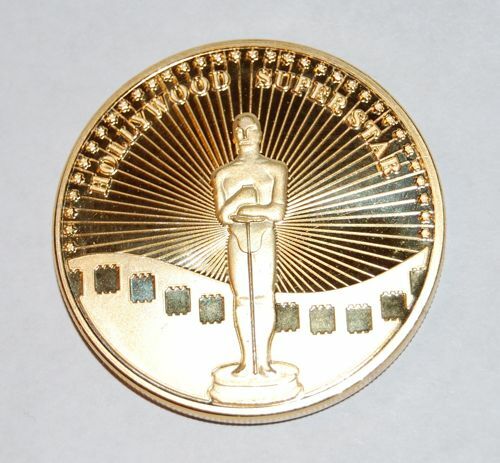 I got this from a Chinese eBay seller that apparently specializes in making collectible “gold coins” with pictures of Hollywood and sports stars on them. They have a number of Star Wars ones, although their character selection is a little strange, with some very obscure characters (e.g. the IT-O Interrogator droid, aka “Dr. Ball“) making an appearance, but no Jabba or other related characters. 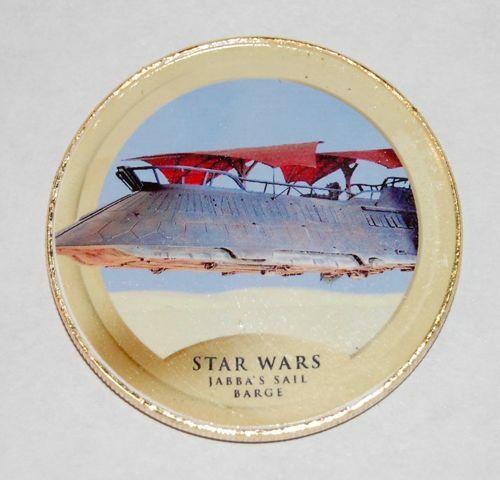 The closest they have is the sail barge, but maybe they just haven’t gotten around to making a coin for him. The auction lists the materials as “alloy with a little silver, 24 karat gold-plated on the surface. Other color planes, Paint and color pigment.” So maybe there’s a microscopic amount of precious metal in there, but not much. It looks pretty nice, though. Shiny and gold, and with a nice heft to it. It looks like they basically just printed off the image on a glossy sticker of some kind and stuck it to the coin, but for $0.99 it’s not that bad. Yes, that is quite a nice looking item.